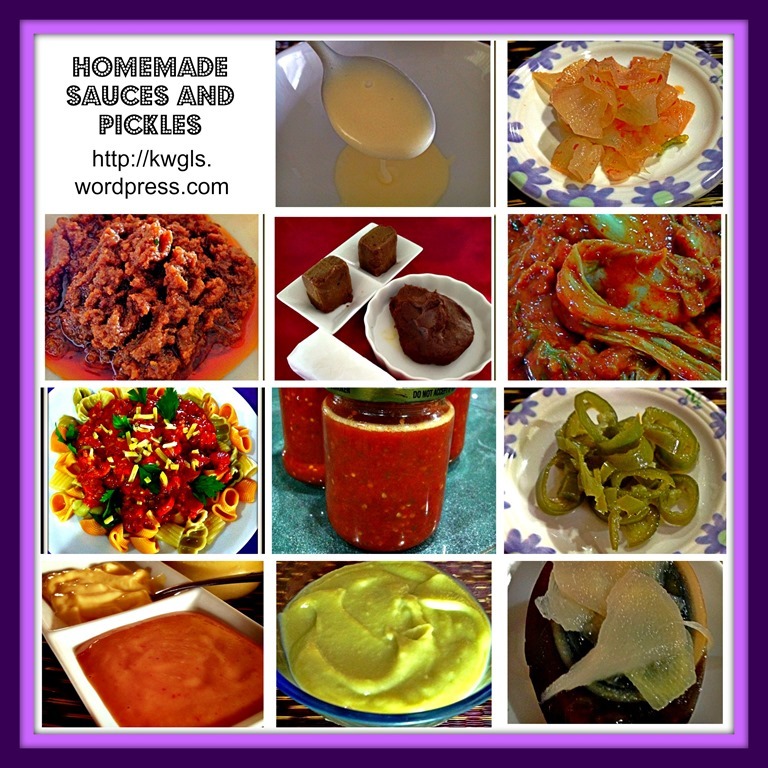 Home Made Sauces, Pickles and Preserved Items . This is a compilation of common sauces, preserved vegetables, pickles and etc. targeted at house chefs. It is definitely not a bad choice to prepare home made sauces though outsourcing some items can be cheaper at times. One good thing is that you are aware of what is included in the read made sauces. 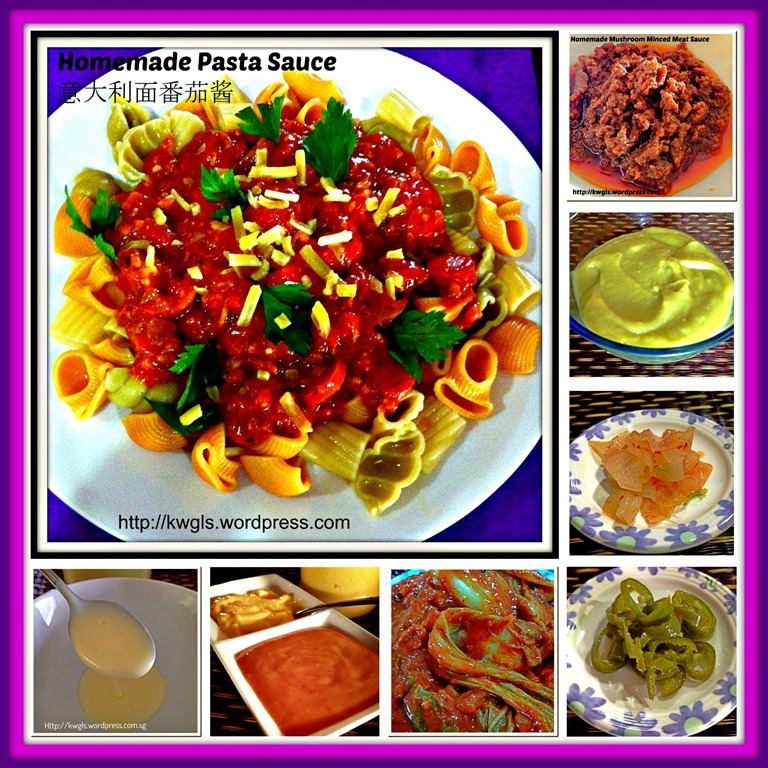 One of the sauces that I like is homemade pasta sauces and you may want to have a look. This entry was posted in Food Preparation Series, Sauces and Pickles, Special compilation and tagged 8, bean, century, Chilies, chilli, CHINESE, coconut, Curry, 皮蛋酸姜, 腌制白萝卜, 腌制青辣椒, 蛋黄酱及千岛酱, 韩国泡菜, 香菇肉酱, 香兰加耶酱, ginger, GUAI SHU SHU, Guaishushu, homemade sauces, island, Japanese, Kaya, kenneth goh, Kimchee, Korean, mayonnaise, Meat, milk, Mushroom, pandan, Pandanus, Pasta, Paste, Pickles, postaday, preserved items, Radish, Roux, Sauce, Style, Thousand, 家居辣椒酱, 开胃小菜, 意大利面酱, 日式咖喱酱. Bookmark the permalink. Thank you for some great sauces! Looking forward to making the chilli sauce especially – yumm! I always appreciate your posts because you broaden my food horizons. What a great compilation! They all look so tasty!